Originally published in the September issue of Pharmafocus, Paul Ranson of global law firm Morgan Lewis' London Life Sciences Practice examines how UK biopharma must now adapt to a changing landscape in the wake of Brexit. It may come as no surprise that a pre-referendum "Brexit” poll, conducted by the UK Pharmaceutical Directors Club of senior management within the UK pharmaceutical industry, resulted in a vast majority in favour of “Remain”. Local management and head offices expressed concern about the possibility of the UK exiting the European Union (EU) and negative implications for their businesses. This article is an attempt to determine what implementing the Referendum result means for the UK and EU pharmaceutical and medical device sectors, and considers practical responses. The UK Government is expected to invoke Article 50 of the Lisbon Treaty by notifying the EU Council of its intention to leave the EU by late 2016 or early 2017. If no agreement is reached within two years of the notification, the EU Treaties shall cease to apply in the UK. The two-year period may only be extended if the European Council unanimously agrees. With Theresa May now in Number 10, the timing and tenor of the Article 50 negotiations are bound to be strongly driven by her outlook – during the Referendum campaign she was a "Remainer". • The World Trade Organisation (“WTO”). Under the EEA route (current members are Norway, Iceland and Liechtenstein), the UK would have to enter into the wide-ranging EEA agreement with the EU, under which it would retain free access to the EU market for goods and services. But in return for such access it would likely have to continue to accept free movement of labour, a key issue in the Leave campaign. Some have argued that the UK should negotiate to join the EEA with its access to the single market but with a right to control immigration. However, the EU has made clear in the past that the EEA four fundamental freedom of movement pillars are non-negotiable. Switzerland is in an unusual position. It is a member of EFTA, but the only one of its four members to be outside the EEA. Instead it has negotiated six bilateral agreements with the EU, one of them that involves including the free movement of labour. This raises the same problem as the EEA over immigration. Indeed, EU immigration in Switzerland has been relatively higher than in the UK. In a recent Swiss referendum, the voters opted to restrict EU immigration to quotas from 2017, but the EU has refused to accept this decision and has threatened to suspend all six bilateral agreements. If control of immigration continues as a stumbling block, the UK would be forced to agree to WTO rules. As the UK is currently only a WTO member through the EU, it would have to join the WTO and then enter separate trade agreement with the desired trading partners, including the EU. An example of this approach is Canada’s 2014 Comprehensive Economic and Trade Agreement (CETA) with the EU. It is worth noting that this took five years to negotiate, and is expected to take another two years to be ratified by EU members. Medicinal Products – For a medicinal product to be placed on the EU market it must have a marketing authorisation (MA). An MA may be granted on a ‘centralised’ basis, whereby the European Medicines Agency (EMA) reviews an application and makes recommendations to the European Commission. The product may then be sold throughout the EU. This route is compulsory for most biotechnology products and orphan medicines and generally followed with other high technology products. Alternatives are the decentralised or mutual recognition procedures, whereby an application is considered by a "reference member state" residing in the EU and once assessed or approved by that country, the other EU "reference member states" should in principle grant consistent national approvals. Issues arise as to whether the UK could continue to be the reference member state for authorised products after it leaves the EU. Additionally, an MA applicant or holder must be "established" in the EU. Furthermore, the sponsor of a clinical trial in the EU, which is not established in the EU, is required to appoint a "legal representative" with responsibilities for managing the trial locally. Similarly, a sponsor of a medicine with orphan drug designation will need to be established in the EU. In addition, the import of medicines into the EU requires an import authorisation, while manufacture within the EU requires a manufacturing authorisation. These allow the holder to release the product for supply throughout the EU. Similarly, those distributing or brokering the supply of medicinal products are required to obtain authorisations to do so. Finally, pharmacovigilance (PV) requirements mean that the Qualified Person for PV must be established in the EU, and that the PV database and master file must be accessible from within the EU. Medical Devices – The placing on the market of a medical device requires the manufacturer (that again needs to be established in the EU or must appoint an authorised representative residing in the EU) to obtain a CE-mark with respect to the product evidencing its compliance with certain "essential requirements" set out in one of the three medical device directives. In the case of low-risk (class I devices) the manufacture may affix the CE-mark following a self-certification procedure. However, for higher risk, class II and III products the CE-mark must be obtained from a "notified body", a private organisation certified as competent to accredit a product as meeting the essential requirements. Once a CE-mark is granted it allows the product to be sold freely throughout the EU. Planning for Regulation Post-Referendum – The EMA and other EU medicinal product organisational and licensing arrangements are restricted to EU and EEA members, so the UK, if outside the EEA, will be excluded. Indeed, the EMA will, in these circumstances, be expected to move its headquarters out of the UK and relocate in one of the remaining EU countries. Nor will rapporteurs from the UK be accepted. However, as part of the forthcoming negotiations, it would seem sensible for the UK to agree a Mutual Recognition Agreement – such agreements already exist between the EU and Switzerland, Canada and Australia. The EMA will certainly regret the loss of the UK competent authority, the Medicines and Healthcare Products Regulatory Agency. It is one of the most respected member state competent authorities and the most used rapporteur under the centralised system and reference member state under the mutual recognition and decentralised systems. A particular irony is that the new Clinical Trials Regulation, which introduces the possibility of a single approval for a pan-EU clinical trial, has been sought after for many years and may now come too late for the UK to benefit. The Regulation will probably come into force in October 2018. For medical devices, the question arises whether they should retain an authorised representative or manufacturer in the UK. Similarly, should manufacturers continue to use a UK notified body? However, joining the EEA or entering into a mutual recognition agreement under EFTA could mean that UK-originating devices would still benefit from access to the EU market. The likelihood of an extended negotiation period means there may be little material change for at least two years, and probably substantially longer. However, before any action is considered, it would be appropriate to identify all applied-for or granted marketing authorisations, clinical trial approvals or legal representative status, orphan designations and supply chain licences held by UK affiliates, as well as any key regulatory functions performed by them including qualified or responsible persons and citing of databases. For medical devices, one would similarly identify those products for which a UK company is either the manufacturer (CE-marking holder) or the authorised representative and where the selected notified body is based in the UK. If the UK goes the EEA route, little will need to change, even after Brexit, as all EU rules will apply within the UK wholesale with UK companies able to apply for and hold the requisite approvals and licences. An exception is that MA approvals under the centralised route would need to be nationally implemented, as they would not apply automatically in the UK. Much of UK life sciences law is derived from EU law either through Directives implemented nationally in the UK or through EU Regulations which have direct effect. Accordingly, transitional measures could well be brought in to ensure that both the UK implementing laws and EU Regulations would remain in force until amended or revoked. However, the MHRA would have to transfer marketing authorisation applications for which they are either rapporteur or the reference member state to other member state regulatory authorities. With goodwill on both sides, an easy solution might be a series of mutual recognition agreements in relation to both medicinal products and medical devices – as UK governance in both sectors is widely respected throughout Europe there is little reason (other than possibly political mischief making) why this would not be achievable. This would be particularly important for the supply chain to ensure importers and manufacturers would be able to release products for EU supply – and vice versa. By way of precedent, Switzerland has an agreement with the EU mutually recognising GMP licences to facilitate this. It also has a similar agreement leading to mutual recognition of CE-marking for medical devices. Similarly, UK notified bodies can point to existing mechanisms in place for non-EU countries including mutual recognition agreements involving the US, Canada, Australia, Switzerland and Japan. • It is in the top 5 worldwide in terms of life sciences industry and R&D headcount. So a mixed picture means that the UK’s place in new product launch sequences is already under a degree of scrutiny, and EU membership alone is not necessarily the most important factor in launch and investment decisions. The industry should be prevailing upon the Government to counter EU departure risks to the sector by becoming quicker to introduce and appropriately fund new treatments, through the speedy introduction of the accelerated access review and a more holistic approach. In this regard it would need to seek to demonstrate how the added investment and revenue could comfortably outweigh any increase in the health care products bill. The recent announcement by the now ex-life sciences minister, George Freeman, that he had convened a joint government-industry steering group to "set out key priorities for the UK life sciences sector" in the negotiations with the European Union was therefore timely. The group was to be co-chaired by the minister, GlaxoSmithKline CEO Andrew Witty and Pascal Soriot, CEO of AstraZeneca. However, with the departure of George Freeman, to another role and without a direct replacement, it remains to be seen how the group will be constituted going forward. Life Sciences will now form part of the responsibility of Nicola Blackwood, the secretary of state for Health Services. Patents and other Protection – The European Patent Convention will remain in force, as its membership goes wider and is not dependent on EU membership. However, the Supplementary Protection Certificate, extending patent life by up to five years, is purely an EU matter. This issue could be part of the negotiations, but if an agreement was not reached, the UK would need to decide whether to introduce its own legislation. 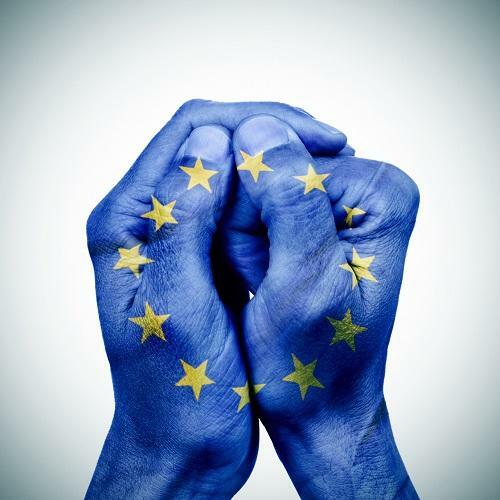 However, EU membership is a requirement for the new unitary patent system. As the leading forum for pharmaceutical patent litigation, London would have been a logical choice for the pharmaceuticals branch of the Unified Patent Court (UPC), established to enable more consistent decision-making in EU patent litigation, but this is not now going to happen. As to supplementary protection certificates and regulatory data protection, it remains to be seen whether the UK will keep to the existing EU regimes or go its own way. Data Protection – The UK has long since implemented the exiting EU Data Protection Directive into its own national law. In May 2018 EU data protection laws will be amended by way of the General Product Data Regulation (GDPR). As a regulation, and hence directly enforceable in all member states, the GDPR may well be in force before any EU departure. If the UK joins the EEA there will be no change, but otherwise it would seem logical for the UK to effectively continue with the same regime especially as businesses are likely to want consistent data protection law across both the EU and the UK. Commercial Agreements and Competition Law – Existing agreements should be checked to see whether they contain specific references to EU territories, laws or regulators that may need amending in due course. A key question may be whether particular agreements could be terminated as a result of the UK leaving the EU. Any right of termination would depend on the terms of the relevant contract, including any force majeure or material adverse change clause, and any right to terminate on notice. Another issue is how pre-existing contracts should be interpreted. For example, how would an obligation to comply with a specific piece of EU legislation be interpreted after the UK leaves the EU? With specific reference to licensing and collaboration transactions, many deals have split territory or other geographic distinctions around the EU, and define “EU” in varying ways, ranging from “as it is constituted on the effective date” of the particular deal to “as it is constituted from time to time” during the term of the particular agreement. These differences may impact not only the territory included in the deal, but also milestone payment triggers and royalty payment terms. Also, we often define the EU “Major Markets” to include the UK, Germany, France, Italy and Spain. In addition, references to pharmaceutical product approvals by the EMA centralised and member state procedures, and member state pricing and reimbursement approvals, may need to be examined. When entering into new contracts it should be also considered whether to include a specific provision dealing with the consequences of UK departure. As far as competition laws are concerned, as most UK competition law derives from EU law it will be business as usual for competition law and enforcement in the UK in the immediate future. Life sciences businesses currently benefit from safe harbours such as the technology licensing and vertical agreement block exemptions against infringing EU laws, which govern licensing and supply and distribution in the EU market. How Brexit would affect these provisions will depend on the nature of the UK/EU relationship. For example, should the UK go the EEA option then, while there would not be significant changes to the law itself (as the competition rules in the EEA Agreement are modelled on their EU equivalents), disputes as to its interpretation in the EEA would ultimately be resolved by the EFTA Court rather than the EU Court of Justice. Research Funding – Between 2007 and 2013 the UK received EU science grants worth €7 billion, including 18% of university research. Concern is already being expressed that new projects involving EU support are not going ahead and some collaborative activities are being cancelled. This was to be one of the areas to be covered by the new steering group set up by the life sciences minister. Employment and Immigration – The EU is a major source of UK employment law. The laws relating to unlawful discrimination, working time, maternity and paternity leave, and the protection of employment upon the transfer of a business are either largely or completely due to EU directives. It is likely that the UK Government would seek to maintain the status quo until the political and legal implications of any exit from the EU have been resolved. On a long-term basis, the impact on UK employment law will depend upon the nature of the relationship between the EU and the UK. However, the new Secretary of State for Exiting the EU, David Davis, has stated that he does not view employment law as imposing unnecessary regulatory burdens on business, which suggests that there may be limited long-term change in any event. Immigration was a key area in the Brexit campaign with many “leave” campaigners hoping Brexit would limit immigration. Any restriction of EU free movement could potentially prejudice the attractiveness of the UK for existing and future EU workers as a research base and a centre of excellence for medicine. Non-UK EU talent at executive levels and in R&D is also critical to the UK life sciences industry. The industry and the NHS will need to ensure that any immigration restrictions respect healthcare and life sciences expertise as key workers. Employers should consider auditing their workforce to understand which employees may be affected by any future changes. It would be prudent for employers to prepare a contingency plan to deal with any gaps created by departing EU workers, who may choose to leave now due to uncertainty over their future immigration status. • seeking the adoption of regulatory and reimbursement regimes designed to encourage rather than deter the use and adoption of new treatments. An important factor will be how well the industry can cooperate with the MHRA and NICE on a common cause. Leslie Galloway, chairman of the Ethical Medicines Industry Group representing smaller and medium-sized UK pharmaceutical companies, states that, “The new Prime Minister and her Government will need to paint a very clear picture of how they will attract Biopharma to the UK to invest in order to deliver a healthier global future for us all. One key aspect of this will be for the new government to explain promptly how the UK will remain fully welcoming to the overseas scientific and business talent, which contributes so significantly to our life sciences ecosystem”. Prime Minister May herself commented in 2013, that “We’re already a world leader in pharmaceuticals, but, recognising that we can’t rest on our laurels, at the end of 2011 the Government launched a strategy that will put Britain at the forefront of the new model of personalised medicine that is transforming biomedicine. We should learn from these success stories”. In reminding us of Mrs May’s 2013 statement, Christian Hill of MAP BioPharma, a market access and government affairs consultancy, expressed the hope that she “will demonstrate just how important these industries are to Britain’s success by implementing the planned accelerated access review and by preventing any further price cuts to medicines, with the UK already paying less than almost all other first world nations”.